We offer 8-12 session courses and 1-2 week summer camps. Our courses consist of 8 or 12 one hour sessions, which meet on a weekly basis. Summer camp classes meet M-F for 1 or 2 hours per day. Our courses include after school enrichment, level one, advanced, and masters level public speaking courses, and specialty courses such as speech contests, debate, and interview skills. Class size is limited to a maximum of 15 participants to ensure all students receive an exceptional level of individualized attention and plenty of opportunities to be actively involved during each session. 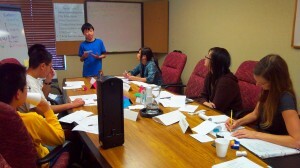 The Academy for Public Speaking courses empower children to become confident, effective communicators. 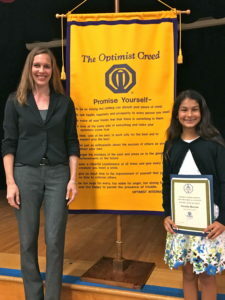 Whether your child is shy or expressive, experienced or inexperienced, the Academy for Public Speaking provides a unique, safe, and fun learning environment where your child can practice and enhance his or her public speaking and leadership skills. Our pre-teen courses are designed specifically for 3rd-6th grade students. The curriculum covers the same content, but the concepts are presented at an age appropriate cognitive level for students in the elementary grade levels. Speech projects in the level one course include introduction, storytelling, inspirational, and persuasive. In addition to writing and delivering several prepared speeches, the students also have opportunities to develop and practice their leadership skills through filling various meeting roles such as President, Timer, and Ah/Um Eliminator. The following communication skills are also addressed. The advanced course is for students who have graduated from our level one course or have prior experience with public speaking. This challenging course builds directly upon the knowledge, skills, and confidence the students developed during the level one course. Speech projects in the advanced course include impromptu, improv, vocal variety, facial expressions & emotion, gestures & whole body movement, visual aids, and entertaining techniques. Students learn to give speeches using key word notes only and without using any notes at all. Students have opportunities to enhance their evaluation and leadership skills through providing feedback for their peers and filling various meeting roles. The following communication skills are addressed. The masters course is for graduates of the advanced public speaking course. The masters course provides opportunities for advanced graduates to learn new techniques to deliver more powerful speeches as they continue to improve their confidence, public speaking, and leadership skills. Masters level students complete a self evaluation and set individual goals based upon the results of their self assessment. The class lessons are customized based on the specific goals of the students. The students’ speeches are videotaped for them to review at home. The students learn the 4 Step Review Method, which is one of the most powerful tools for improving public speaking skills. 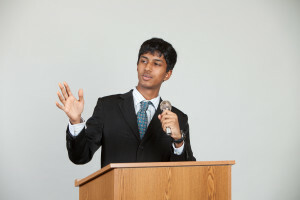 The students also learn how to prepare and deliver longer speech projects with an emphasis on incorporating advanced techniques into their speeches. The masters course provides additional opportunities for the students to practice their extemporaneous speaking, evaluation, and leadership skills through responding to impromptu questions, giving speech evaluations, and filling various meeting roles. The masters course also reinforces the concepts the students have learned as they practice and refine their skills. 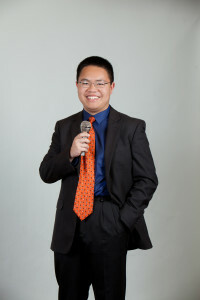 The students also enjoy learning debate terminology and techniques, and they participate in two debates. Academy for Public Speaking Graduates Become Award Winning Debate Students! Your child will gain confidence and have fun while developing essential communication skills. During this highly interactive course, students present speeches and participate in debates. Through prepared presentations and impromptu communication, students practice speaking clearly and confidently while using good volume, an appropriate rate, vocal variety, and enthusiasm. 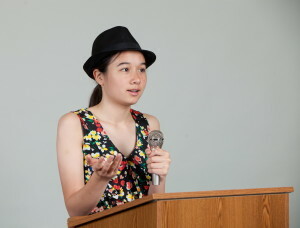 In addition to learning the structure of debates and effective presentation techniques, students also learn how to research their topics, build their cases with reasoning, evidence, and emotion, cross examine their opponents, and present effective rebuttal arguments. During debates, students use evidence, logic, and emotion to persuade the judges. Your child will enhance his or her organization and writing skills by creating key word outlines and taking notes. Other benefits include developing listening skills and learning to respectfully express a different point of view. Your child will enjoy opportunities to express his or her personality and creativity during this fun, interactive course. 2016 Optimist Club Contest – $2,500 Scholarship Winner! Competitive public speaking is one of the most effective ways for your child to improve his or her public speaking skills. Academy for Public Speaking graduates have won over $21,000 in cash prizes and scholarships from competing in speech contests! During this advanced course, your child will learn and apply scriptwriting techniques by planning speeches based on a variety of contest topics. Students learn the scoring criteria for several local contests to understand how judges rate speakers. 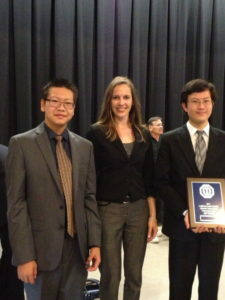 Students also learn and practice presentation strategies used by professional speakers and world champions. Additionally, award winning guest speakers visit to share their speeches and expertise. Opportunities for participating in speech contests and presenting at community events will be provided. 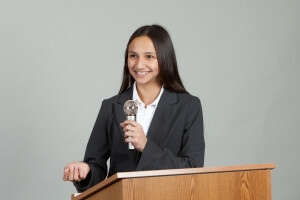 Participating in our Speech Contests Course gives your child the unique opportunity to learn and apply the strategies and secrets of highly successful public speakers! The interview skills course is for high school students. Students learn and practice the following communication skills. If our current class schedule is not compatible with your child’s schedule, forming a private class is another option. Private classes are available for groups of 4 or more students. The schedule for private classes is customized based on the needs of your group. The fee for our private courses depends on the location and begins at $499 per student. To schedule a private course, please contact the Academy for Public Speaking.